To increase the sales of your business and attract the customers, it is very important to build a nice website with all necessary details. We at Osiz Technologies (P) Ltd. try to make our company the best Web Designing Company in Madurai by giving innovative projects. Our group of experienced web designers applies creativity in the work and makes each website look unique and amazing. If you are an individual, company or startup, we are here to provide with some of the most professional websites. Our designs, layout, colors, and content are selected after much deliberation for rich looking websites. Osiz Technologies (P) Ltd. is one of the leading companies providing high-quality Web Design and Development Services in India to each client. We offer affordable packages, especially for small businesses and individuals. We have an extraordinary group of web designers who make responsive websites by giving intuitive designs and user-friendly interface. We apply new and unique ideas to make your website look decent and beautiful which will add to your brand image and reputation of the company. Our motto is to provide the excellent web design and development services in your budget. We know how important time and is and we deliver the work on time. The exceptional team of web designers at Osiz Technologies (P) Ltd knows well how to fulfill the requirements of each client who believes in us. We work hard to give the best Website design in India at reasonable rates. We try our best to improve in the area of website designing and development. We set our goals and fulfill them at any cost. To make the website more stunning, we apply recent tools and technologies such as animated videos, images, pictures and much more. We also use SEO and SEM techniques to make the website more responsive and wonderful for the audience. Osiz Technologies (P) Ltd is an emerging Design Development Company in India having a proficient team of web developers. With every project, our skilled designers bring a new idea and make your website look all the more beautiful in all sense. We pay attention to what our clients say and strive hard to achieve the targets. We apply professionalism on a large scale in our business and give our best in every project which we undertake. The websites designed by us have high-quality content, positive keywords, proper arrangement, layout, design and much more. We also provide all the information on the websites for the ease of users. A website should be designed in such a way which can easily attract any user towards itself. 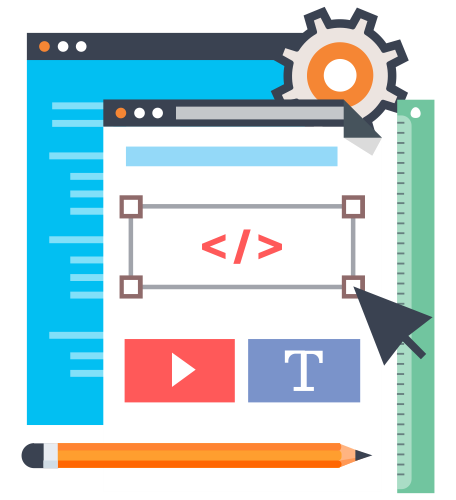 We at Osiz Technologies (P) Ltd hire web designer in Madurai who designs websites which generates the interest in the minds of the users and they feel to know more about the company. Our excellent web designers optimize every website and apply Search Engine friendly URLs in all of them. We hire dedicated responsive website designer India who will consult with each client even after the submission of the project and make improvements if needed. Time work with efficiency, perfection, and proficiency are our goals ultimately. No 22,Astalakshmi Nagar, Thanakankullam, (Opp Seetha lakshmi Mill gate Bus stop) Thirunagar,Madurai,625 006. Get Awesome updates delivered directly in your inbox. Just type your email address below and click subscribe! Copyright © 2019 OSIZ TECHNOLOGIES PRIVATE LTD | All Rights Reserved.